Ending a marriage is a challenging experience even in the best of situations, but with an experienced and dedicated divorce attorney, the proceedings can be made smoother and more efficient. At the law firm of Kezy & Associates, we are committed to providing our clients with high-quality divorce representation. With over 25 years’ experience handling all types of divorce matters, our divorce attorneys have the knowledge and experience necessary to obtain the best possible result in every case. In most cases, dissolving a marriage is a complicated process, as there are many issues that must be resolved. When spouses are able to sit down and discuss these issues with the counsel of their attorneys, the process can be streamlined and expedited. If both spouses are able to agree on all of the issues pertaining to their divorce, such as child custody and visitation, child support, alimony and spousal maintenance, and property and asset division, then it is called an “uncontested” divorce. Uncontested divorces cost less in attorney fees and can save a lot of time and aggravation. When children are involved, an uncontested divorce can also help preserve a positive relationship between spouses to support future co-parenting. When spouses cannot reach and agreement on one or more issues through negotiations, however, the divorce becomes “contested” and the spouses end up in court. Divorce litigation is less than ideal, as it is often expensive and time-consuming. Additionally, private personal matters are made a part of public record, and delicate decisions are left to the discretion of a judge. Unfortunately, it is sometimes impossible to avoid divorce litigation, so it is important to have an aggressive, experienced trial attorney in your corner. 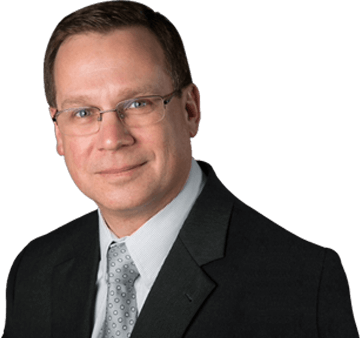 Attorney Mark L. Kezy is a seasoned divorce litigator with a long track record of achieving favorable results. In the past, the only spouse who could file for divorce was the spouse who was not “at fault” for the marriage ending. This is no longer true in Illinois, but there are still fault grounds for divorce in Illinois. No-fault divorce is also an option. At the Illinois divorce law firm of Kezy & Associates, we can assist you in filing for divorce regardless of whether you seek a fault or no-fault divorce. Our divorce attorneys will explain your options and help you make an educated decision about how you should file. There are many different “fault” grounds you can choose from when filing for a traditional divorce. Attempted murder of the other spouse. Filing for a divorce based on fault has little to no impact on what the filer will get out of the divorce, as Illinois law states the court must make decisions about property and asset distribution and alimony “without regard to marital misconduct.” In effect, the primary benefit to filing for a fault-based divorce is that it allows you to obtain a divorce without a waiting period. Further efforts to reconcile are not advisable. For most people, the two year separate and apart condition is the most troubling, as once you file for divorce, you want to get it over with as soon as possible. In some cases, the separation requirement may be waived if both spouses agree to it. A significant benefit to filing a no-fault divorce is that it allows you to avoid entering your personal business into the public record. If you are considering filing for divorce or your spouse has already filed, contact us at 708-518-8200 to schedule a free consultation to learn how we can assist you. Our divorce attorneys have been handling divorce cases for over two decades, and we are committed to guiding our clients towards the goals they desire.